We aim to transform the way that multi-residential housing is talked about and delivered in our cities. We do this by licensing the Nightingale Model to like-minded architects. This is a model that puts people, not profit, as the focus of development. It's a revolutionary model that shouldn't be revolutionary, because it's common sense. Here are seven things that are different about the Nightingale Model. We only sell our apartments to owner-occupiers. We involve potential occupants in the design from the beginning. We build apartments that are environmentally sustainable – our apartments don't even need air-conditioning. We only support developments that have been designed by architects. We build apartments that will foster community within the building and on a street level. We cap profits for investors. We don't market our properties or include unnecessary features, which makes our apartments 5–10% more affordable than equivalent developments. Some of the Nightingale projects already underway. 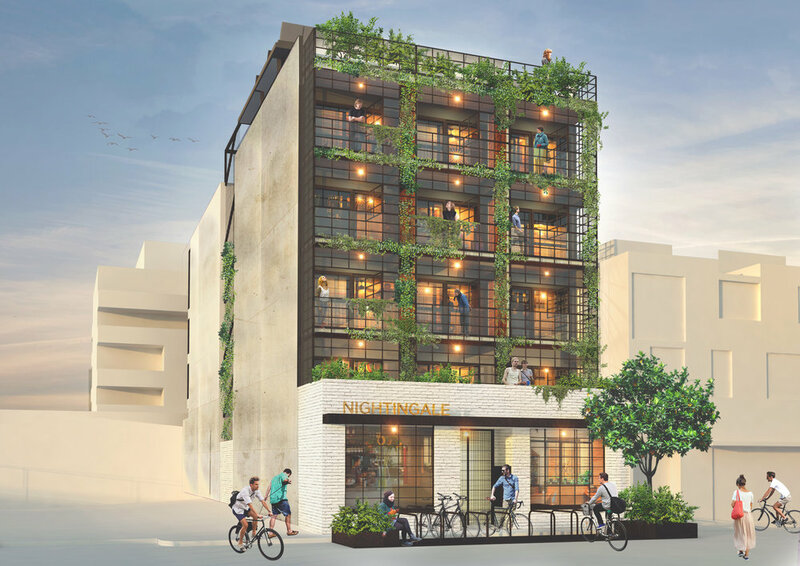 We license the Nightingale model to architects and consortiums committed to better, more sustainable urban housing. We provide support through the process of leading a development, working to provide quality, design-led housing that benefits the owner and local community. We know that many people want more affordable, environmentally sustainable and well-designed housing options. We cut out the middleman and create the link between purchasers and Nightingale-licensed projects. As a potential purchaser, we want you to be involved in our buildings from the beginning. We believe our communities deserve better urban spaces. That's why we advocate for housing that makes a positive neighbourhood contribution, and we educate people and councils to help them understand the financial, social and environmental benefits of truly sustainable housing.